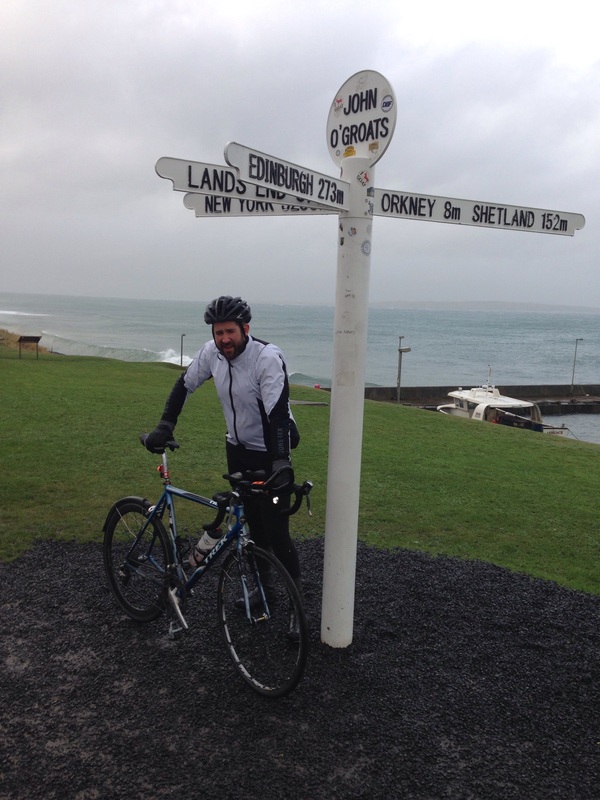 Dave has made it to John O Groats , not even storm frank could stop him this morning ! Previous Post The last page of the map but the hills keep coming ! Next Post Dave’s Big Icicle Ride – The Totals! So well done Dave. Michele and me have been thinking of you battling through the wind and rain. It’s a staggering achievement! Absolutely awesome, young man! A superhuman effort and a credit to the memory of Janie!! Fantastic Job… Very cool to follow!!! Well done Lads!! Karen and I have been following you all the way. Great achievement well done. Well done Richard for following Dave and keeping him safe!. What an achievement, well done to you all. You my good man are an absolute hero in my eyes. If i was wearing a hat i would tip it for you. I can’t think of another charity or better cause to witness such a momentous show of pure giving by such a selfless person. Once again David, bravo! Well done Dave. Outstanding effort. Respect! Well done Dave & Richard. Amazing effort very well done Dave!!!! Tick 🙂 great effort, job done! Sitting here raising a well earned gin to you and support crew. Pambo, Heather, Lucy, Gav, Stevie, Matt and the rug rats. who’d of thought you’d have got under 6 days with Stevie and Gav slowing you down for half a day. One day I’ll release the picture of you pushing Stevie up his one hill. Enjoy tonight! Well done Dave and Richard…. Great achievement completing the challenge never mind the phenomenal amount of money raised!! Hat of to you boys!!! Respect Sir. I completed this ride in September and it took me 12 days. Dave’s Big Icicle Ride – The Totals!